We partner independently with a number of trusted high quality British office furniture manufacturers and can present you with a range of options to suit your budget and style preferences. 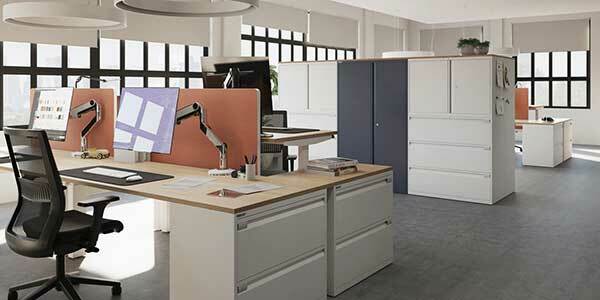 Our suppliers include Bisley, Verco, Summit, Tangent, Aaron, Pledge & PSI. We also manufacture bespoke seating in-house including bench seating and lounge/dining chairs for hospitality environments. Our team will deliver your furniture and position it in the location you specify. We don’t supply flatpack furniture, all furniture is pre-assembled by us and ready to use. 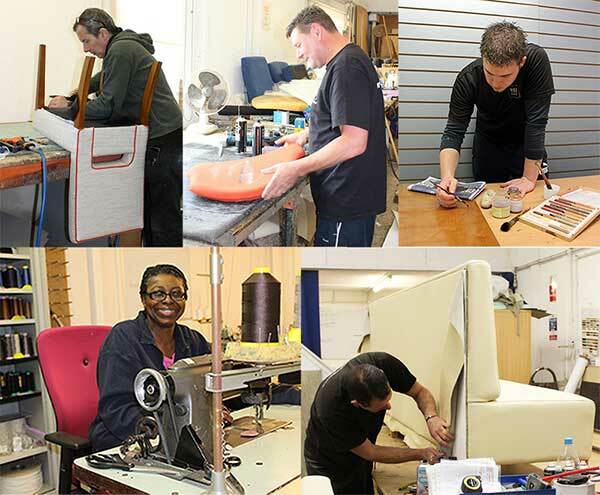 In addition to new office chairs we also offer an in-house reupholstery service transforming tired and worn seating. We include a comprehensive clean & service of the chairs and they are returned to you looking like new. We also reupholster office desk screens, tiered theatre seating and any soft seating such as reception or breakout seating. We offer free planning and advice assisting our clients with measuring up, furniture selection and fabric choices. We supply free fabric samples for your perusal and can make suggestions based on usage type, budget, durability & style.